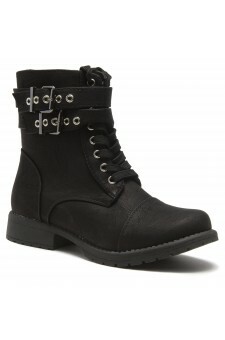 UGGEDLY CRAFTED -Women's Military Combat Boots, you can easily walk on all types of terrains. The slip-resistant rubber sole has a special traction grip that will keep you on your feet on slippery floors, icy sidewalks and loose gravel. 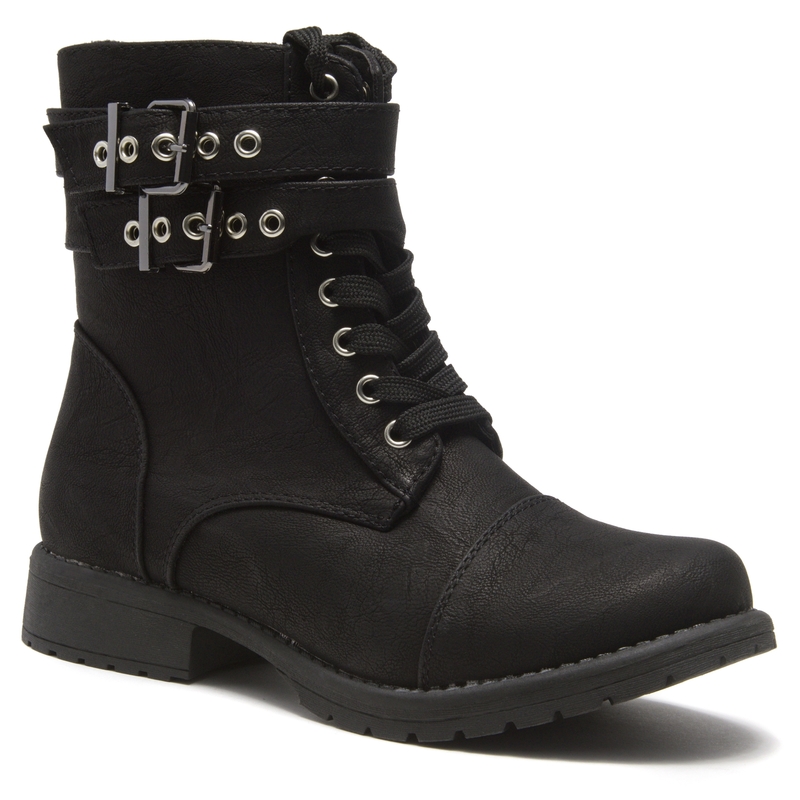 TEEN SPRIT features almond toe, stacked heel, with double buckle, zip-up for closure. COMFORT ASSURED Padded insole cushions your foot as you walk. lace-up front allows you to adjust the fit for optimal support and lightly padded insole for comfort. Available in Black and Brown.